Ian Fleming was born in Mayfair London. and just a few streets from his home was Jermyn Street and at number 89 on that street was the high class Floris perfume shop. According to the owner of the shop Ian Fleming spend some time there from time to time and their products became common in Ians life. In 1951 Floris released the smell titled No 89 (just as their street number) and it instantly became Ian Flemings favourite. Back then the bottle was apparently green and has changed to transparent nowadays. The formula of the perfume has changed some since 1951 so it is hard to know the exact smell back in 1951 if you do not have an original bottle. The owners of Floris says that the change is very little so I hope that's true. 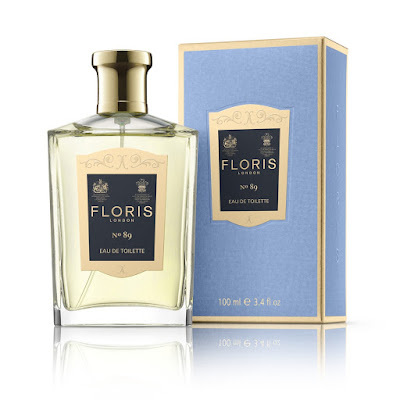 Some time ago the Floris owners almost decided not to continue producing the fragrance but luckely the younger generation of owners talk some sense into the older owners. In the James Bond books Fleming mentions Floris three times. The first time is in MOONRAKER, The second time is in DIAMONDS ARE FOREVER and the third and final time is in DR. NO. In all fairness the company is only mentioned in passing but if you have not read the books I do not wish to spoil where you can find it being mentioned. It actually never says that Bond favourites No 89. 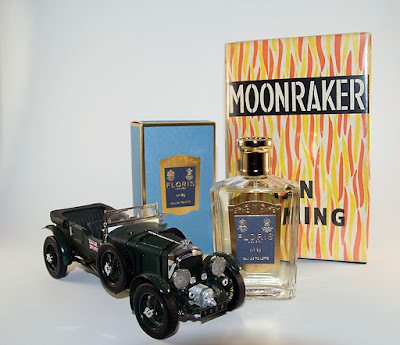 It was always Fleming who did that and on Floris website one can read "Introduced in 1951, No 89 takes its name from the number of the Floris shop in Jermyn Street. 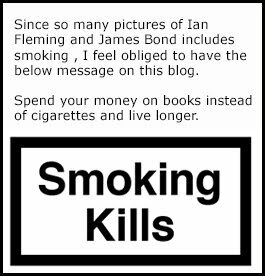 Devoted followers include Ian Fleming" It is clear that James Bond in the books do enjoy Floris dough. So what about the scent? I do own a bottle that I intend to use. I do like the smell. It smells masculine and mature and expensive. To be honest, it smells like someone would smell, who have never even seen the suburbs own the town he lives in. I believe you all know what I mean whatever country you live in. If you wish to get this fragrance for yourself or your loved one. You can order it here!. But bare in mind. Your friends might just think you have become a snob.